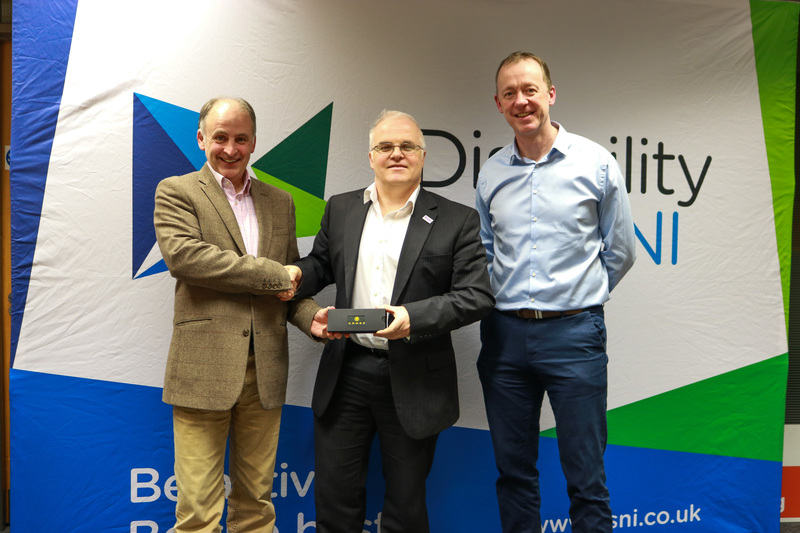 Barry Macaulay, Chairperson of Disability Sport NI stepped down from the Board of Directors at the February Board meeting after almost eight years of service, the last two of which he served as Chairperson. He was replaced by fellow Board member Michael McAteer MBE. Commenting on the change Barry said, “I have been involved with Disability Sport NI for a long time and have thoroughly enjoyed my time with the charity. We have faced highs and lows throughout the years so I am happy to say that I am stepping aside at a time when the charity is in a strong position of growth and development. Commenting on the change Kevin O’Neill Chief Executive of Disability Sport NI said, “Barry has an obvious passion for sport and disability sport in particular and has provided strong and insightful leadership to our charity during his time as Chairperson.